To meet the growing data rates of optical interconnects, 100G optical modules are booming in 2017. And there are many types of 100G optical transceivers in the market such as CFP modules and QSFP28. Those who have experienced in using optical transceivers may know each kind of transceiver has their own functional mode. And knowing this functional mode helps you to choose the suitable 100G optics for your networks. CFP SR10 is a 100Gbps parallel transceiver for optical communication applications. It supports link lengths of 100 m and 150 m on laser-optimized OM3 and OM4 cable. This transceiver converts the 10-channel 10Gbps electrical input data into 10-channel 850nm optical signals and then coupling them into ribbon fiber array (MPO connector) for 100Gbps optical signal transmission. On the receiver side, the optical signals are converted into electrical data for 10 output channels. Following is the functional diagram. CFP LR4 is another member of 100G CFP modules. But its working process is a little different from CFP SR10 module. CFP LR4 uses four channels for transmitting and four channels for receiving. It uses four WDM optical signals and multiplexes them into a single channel for 100G transmission. On the receiver side, it demultiplexes the 100Gbps signals into four WDM optical signals and then converts them into four output channels. Its functional diagram is below. QSFP28 SR4 is also a parallel optical transceiver. It offers four channels for transmitting and four channels for receiving, each capable of 25Gb/s operation for an aggregate data rate of 100Gbps on 100 meters of multimode fiber, which is similar to the CFP LR4. However, the QSFP28 SR4 doesn’t multiplex the optical signals into WDM for transmitting. Its functional diagram is shown below. The functional mode of QSFP28 PSM4 is much similar to that of QSFP28 SR4. It uses four independent transmit and receive channels. Each channel operates at 25Gbps. The difference mainly lies in the fiber they use. QSFP28 PSM4 works on single mode ribbon fiber cable, while QSFP28 SR4 works on multimode ribbon fiber cables. 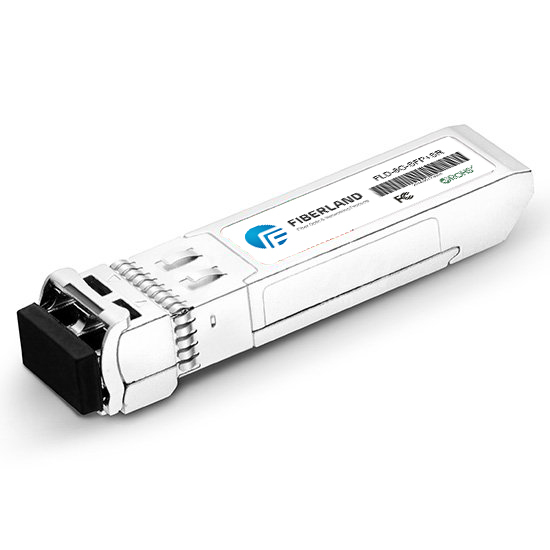 Similar to PSM4, the QSFP28 CWDM4 also uses 4x25Gbps to achieve 100Gbps. But the difference is that the CWDM4 utilizes an optical MUX and DEMUX to reduce the fiber it needs, which is like the CFP LR4. It only needs a duplex single mode fiber cable to connect two 100G CWDM4 optical modules. At present, CWDM4 links are used in both 100G CFP4 or the QSFP28 optical transceivers. From the comparison above, we can find that there are mainly two differences between of the functional mode of these 100G optical transceivers. One is the transmission channel and another is the cable type. Except for that, wavelengths, connectors, and other factors also can affect the working performance of optical transceiver in optical connections.